Last Sunday Rudy, Dirk, Kevin and Jan participated in the "100km Run Against Cancer". They have been running 10, 20, 30 and 40 km respectively, 100km in total and they all made it to the finish! 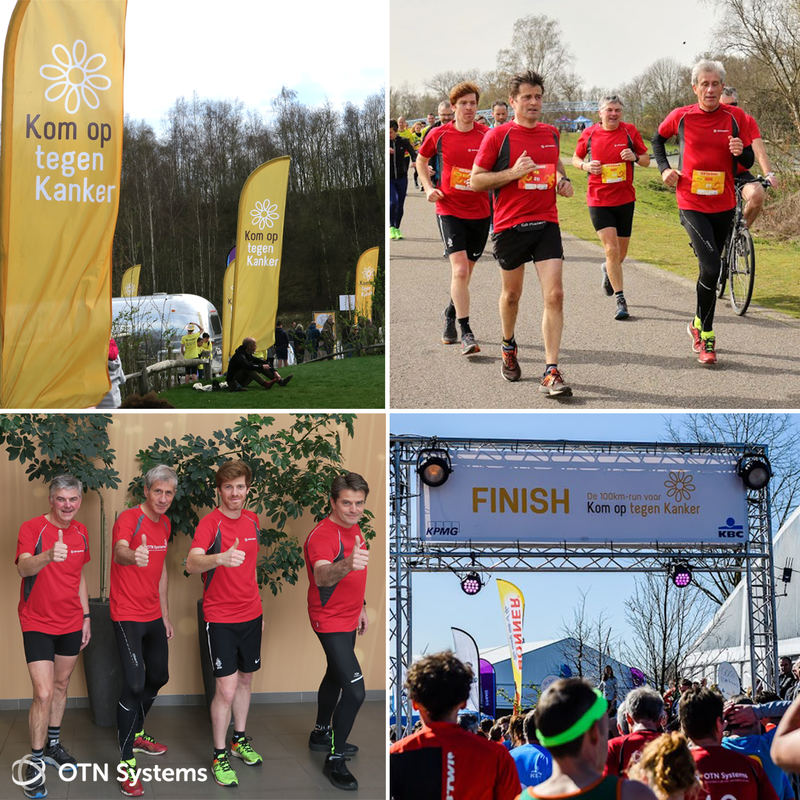 Thanks to their perseverance, OTN Systems managed to raise money that went straight towards cancer research. In the end, all teams combined raised more than 1.4 million euro! A big thanks to all who sponsored the "100km Run Against Cancer".